Complex Says: This ain&apos;t your mama&apos;s school bus. Well, actually, depending on how old your mama is, it could be. But we&apos;re betting she never rode to school in an orange bus with flames and custom pinstriping. If she always dreamed of riding in style like this, here&apos;s your chance to impress her. 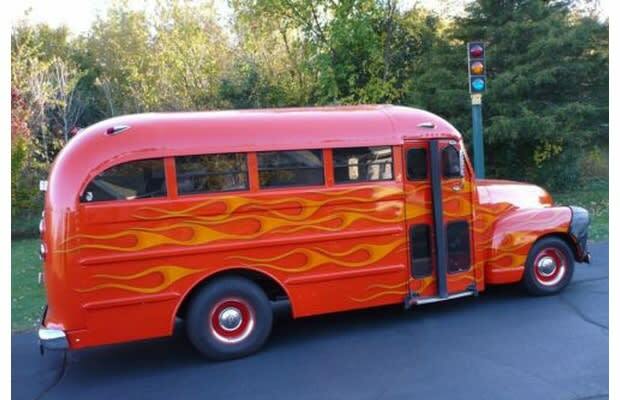 Or just turn it into one hell of a party bus. The seller lists several upgrades, including a rebuilt motor with less than 1,000 miles on it, front disc brakes, a new exhaust, front and rear sway bars, and a complete digital dash upgrade with a hidden CD player. Classic style with modern conveniences. What&apos;s not to love?